We'd be throwing money at our screen right now, if we could. Chinese company Xiaomi has launched a small Segway device, the Ninebot mini, for a mere $315 (£203), on the same day it revealed a $790, 60-inch 4K TV. If you'll recall, Xiaomi is a major investor in Ninebot, the China-based company that recently purchased Segway. This is the first device the companies have launched since the acquisition, and while the self-balancing scooter looks a bit like the original, it costs less than a twentieth the price. The performance is nothing to sneeze at, though -- it can move at up to 16km/h (10 mph), tackle 15 degree hills and run up to 22 km on a single charge. It's portable at 12.8 kilograms (28 pounds) and "fits easily in the trunk of your car," according to Xiaomi. You can also upgrade the firmware and monitor your speed, traffic data and systems via a smartphone. 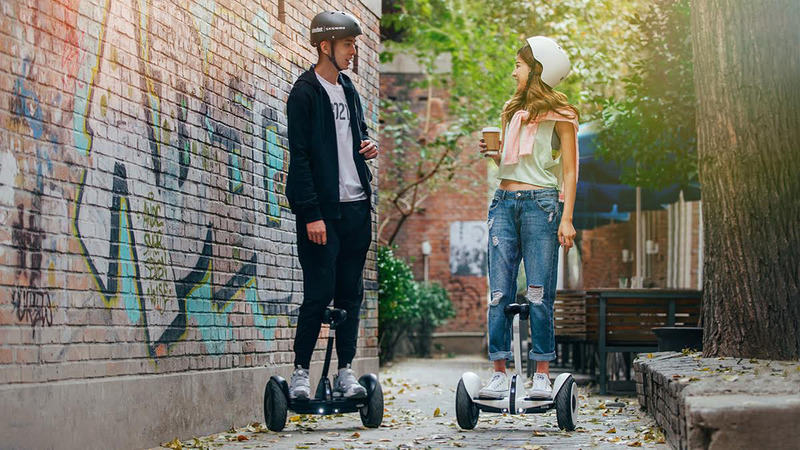 Sure, Xiaomi's marketing the Ninebot mini as a "cool youth toy," according to the rough translation -- but it looks like it could get you around nicely, too. You'll have to put your checkbook away for now, though. The self-balancing device is coming to China on November 3rd, but there's no word on Xiaomi's plan for a wider launch. That said, Ninebot has updated its French website with an offer to be "informed of the availability." That means it'll likely be sold in Europe, so it may come to the US after all. We've reached out to Xiaomi for more information.